It’s almost as if this has become standard operating procedure for many automakers, with certain popular models receiving some mighty fine upgrades for overseas markets only, notably Europe, and not the US. Car and Driver reports that Volkswagen has some updates planned for the 2018 Golf GTI and Golf R. However, those planned for the R won't be making it over to US models. Let’s start with the US market 2018 GTI: It will reportedly receive an additional 10 hp in all versions, for a total of 220 ponies. The transmission will also be slightly recalibrated with shorter gearing. The exterior will have new front and rear bumpers, and headlights and taillights. Also expected are a few new color and trim options. Back to the Golf R: For Europe, the all-wheel drive hot hatch will see a power increase to around 306 hp (up from 292 hp) due to a boost increase from 17.4 to 20.3 psi, as well as some software improvements. It gets even better for Europe with a new and optional performance package featuring an Akrapovic exhaust, the performance braking system from the limited edition GTI Clubsport, and unique wheels. Oh, and top speed increases from 155 to 166 mph. 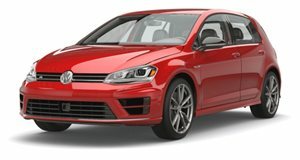 As for the US market 2018 Golf R? No changes that we know of. VW choosing not to reward hopeful American Golf R buyers with a similar performance package is a real bummer, especially since the hot hatch segment in the US is doing pretty darn well these days. The way we see it, this is a prime opportunity for Ford to step up and offer that Mountune performance pack in the Focus RS for us Americans. 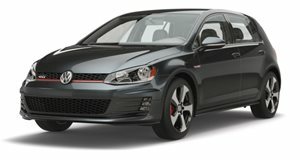 Show VW who truly has hot hatch enthusiasts best interests at heart.